"I think the newspapers and social media are always focused on that side of things, trying to find problems that aren't necessarily there, constantly exaggerating - it's on the pitch that matters. These stories are not good for anybody, but Jose and Pogba will figure it out." I said last week that I thought Manchester United's game with Leicester would end in a low scoring win and it ended up being a tight one. United were a bit lucky in the end - Leicester had a great chance to equalise at the death - but overall it was a deserved win, and a good way to kick off the season. I know some United fans want a more expansive attacking game and I can understand their frustrations, but the result is the most important thing especialy at the start of the season, and you need to be tactically clever. If you win every game by a single goal you still get maximum points! 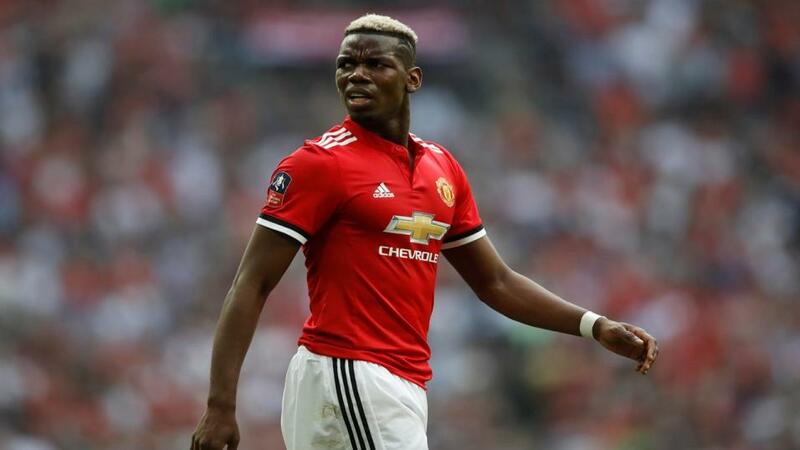 I was very happy with the display of Paul Pogba against Leicester, it was a real captain's performance. He was everywhere on the pitch, passed it well, took the penalty with confidence - considering it was the first game, it was very encouraging. There has been chat in the media about him being unhappy, but I think the newspapers and social media are always focused on that side of things, trying to find problems that aren't necessarily there, constantly exaggerating - it's on the pitch that matters. These stories are not good for anybody, but Jose and Pogba will figure it out. The news this week that Tottenham's new stadium won't be ready as planned (for the Liverpool game on September 15) isn't good for my old team. It's important for any team to feel at home, have an identity. When you play at your own home, it feels different, and as a player it can really push you on. A couple more matches at Wembley won't be too much of an issue as the players are used to playing there now and had a good record last season, but the quicker they can get into the new stadium the better. Spurs face another one of my old teams this weekend, taking on Fulham at 'home'. The Cottagers had plenty of good chances against Crystal Palace but when you don't score, there's always the danger the other team will punish you and that's what Palace did. Fulham will be fine this season, but I don't see them getting anything at Wembley. I know Tottenham didn't sign anyone in the transfer window but they didn't need to, they have such a good team as it is. They will be confident after winning at Newcastle on the opening weekend, and I expect them to get another three points on the board. It looked like the Arsenal fans were pretty angry after they lost to Man City on Sunday and they won't be happy if they lose again, but it will be very difficult for them at Stamford Bridge on Saturday evening. Chelsea will be very confident after winning with authority against Huddersfield last weekend. I was particularly impressed with the midfield combination of Kante and Jorghino; they complemented each other really well, with one staying and one going - and even both going forward when the situation allowed.